Who doesn’t love a little treat before the main course? If you’re like me though filling up on an appetizer whose main ingredient is bread isn’t what I need. 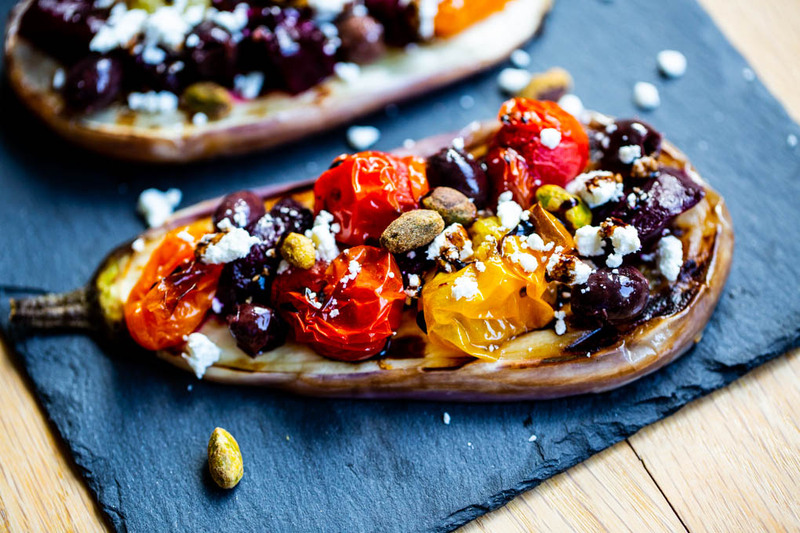 This Grilled Eggplant Bruschetta hits the spot and even leaves room for the main course. 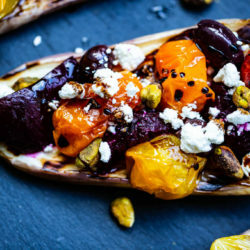 I thought it would be fun and healthier to use something other than bread as the canvas for a bruschetta appetizer, so I decided to try using eggplant. It worked like a charm. I used the baby purple eggplant rather than the large eggplant, slicing each into fourths lengthwise. 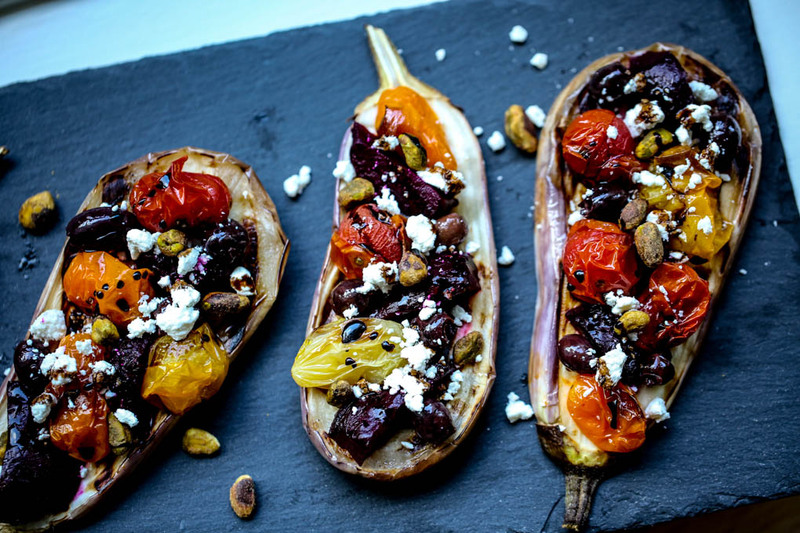 This appetizer would be perfect year round. 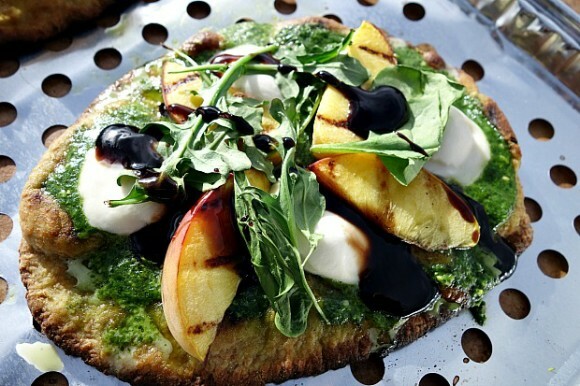 Grill outdoors or inside like I did and top with your favorite ingredients. For my Grilled Eggplant Bruschetta I also roasted baby heirloom tomatoes that I had on hand as well as beets. I added olives, and goat cheese but feta or freshly shaved Parmesan would be nice too. I had some pistachios on hand that I thought would be nice with this but any nut would work. While this is gluten-free you could also make it vegan by omitting the cheese or using a vegan mozzarella or other vegan cheese. With my eggplant as the canvas I smeared a couple with tahini before adding the veggies and it tasted great. However, if I had pesto on hand I think that would have been ideal with this. Even a thin smear of hummus or pasta sauce could be good. Just keep in mind though if serving as finger food that it could be messy. I ate mine with a knife and fork table side – I didn’t feel like wearing it. To finish my Bruschetta off I drizzled it with a balsamic reduction – just because I love the flavor it adds to so many dishes. 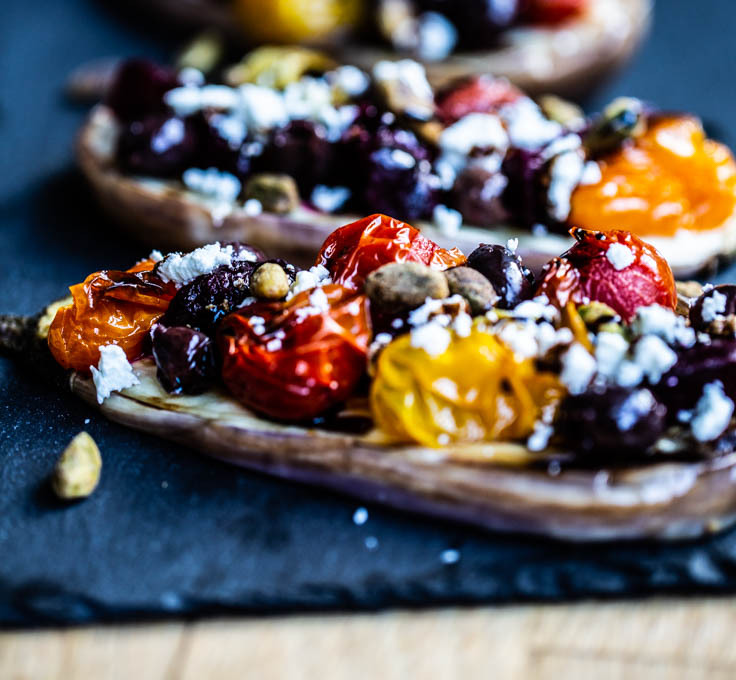 I hope you’ll try my Grilled Eggplant Brushetta. Prepare ingredients ahead and assemble prior to serving. Try my version or create your own to suit your palate. If you make this or even your own version please share it on Instagram and tag it #vickibensinger. 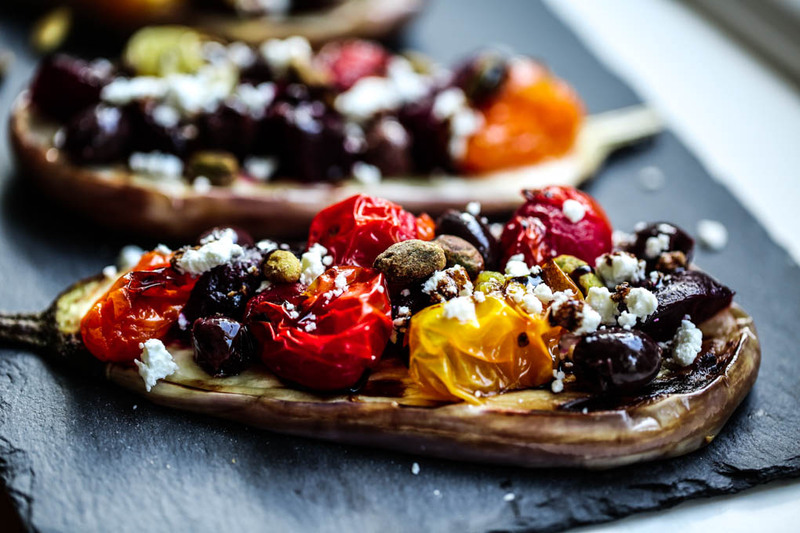 My Grilled Eggplant Bruschetta is the perfect appetizer to serve all your guests since it's gluten-free, vegetarian, paleo and even vegan, if you omit the cheese or use a vegan cheese. Your guests will love it! 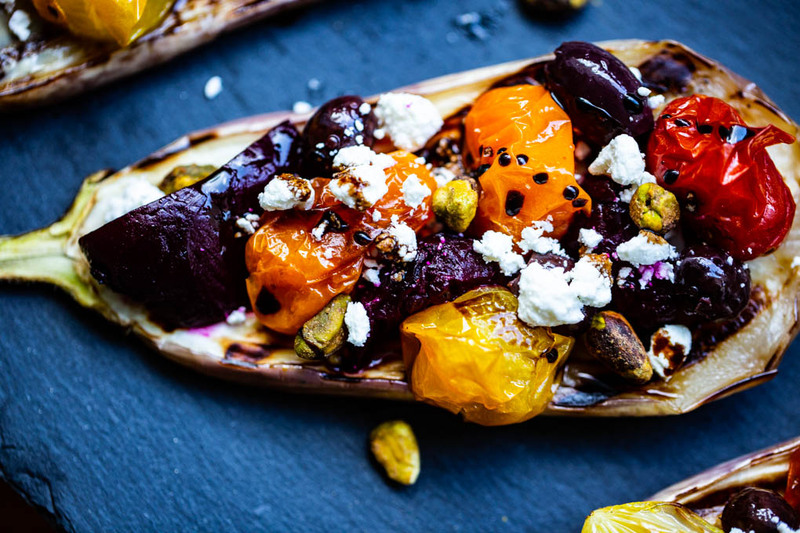 Roast Beets and in a 400F degree oven roast baby heirloom tomatoes lightly drizzled with oil until become slightly charred and softened, approximately 20 minutes. 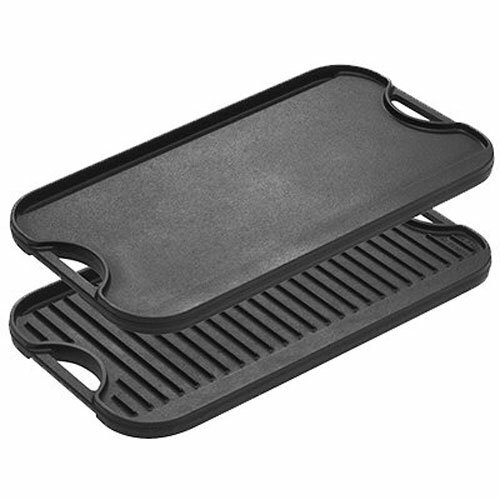 Preheat outdoor grill or indoor grill pan that's been sprayed with a non-stick spray or rubbed with oil. 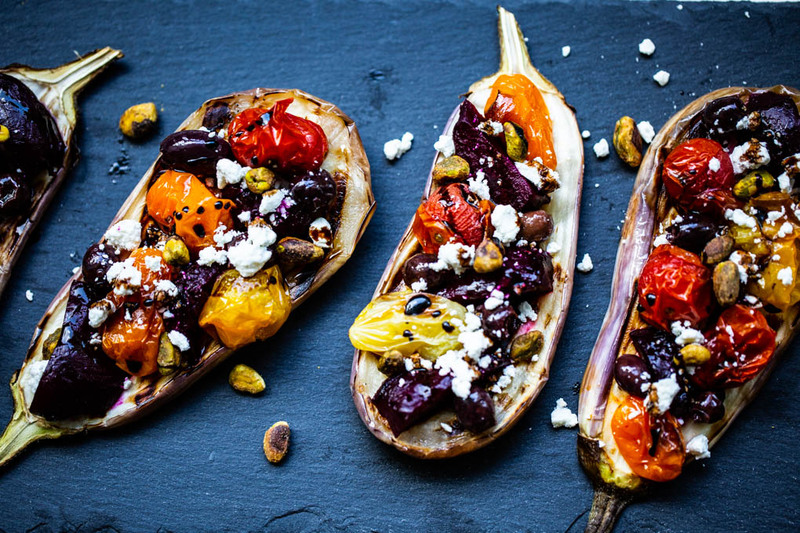 Cut eggplant in half through the stem then, cut each slice in half again - you'll have 4 slices. Brush eggplant with oil and season with salt & pepper if desired. Grill on each side to get nice grill marks but not too much where it falls apart. Set on paper towels until ready to assemble. 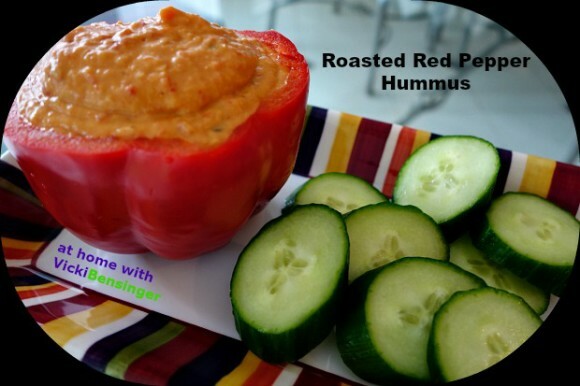 Assemble: Lightly spread eggplant slices with either: tahini, pesto, hummus, or marinara sauce if desired. 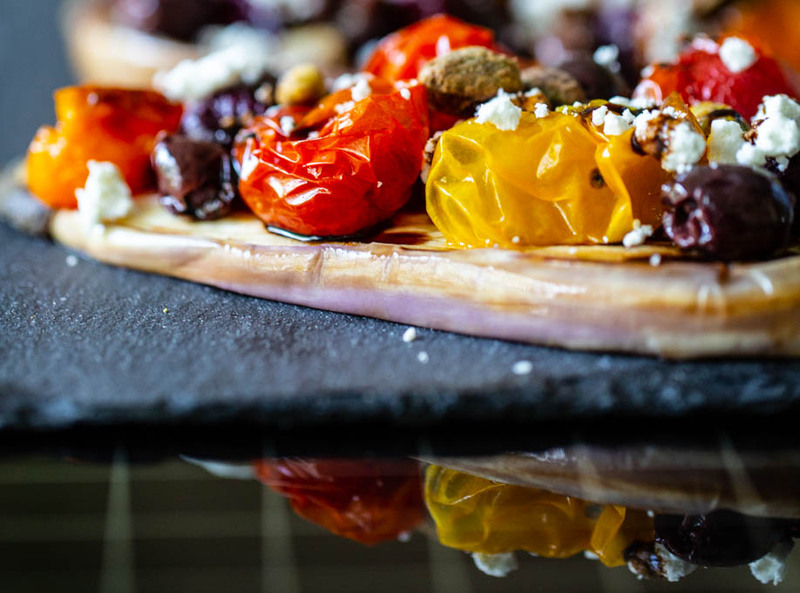 Top with beets, heirloom tomatoes, olives, cheese, pistachios, basil & balsamic drizzle. Serve. Enjoy!!! 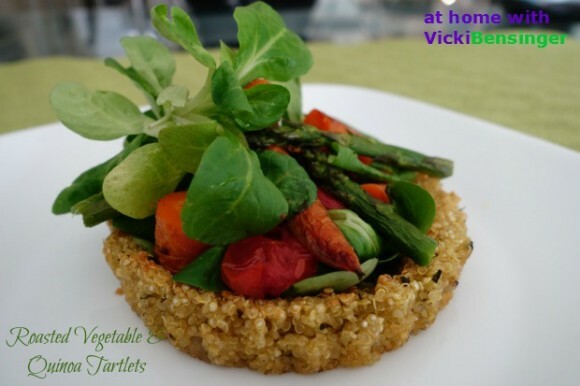 Note: Add whatever toppings suit your palate to make this luscious appetizer your own or follow using my ingredients.